ezDI, a leading provider of Computer-Assisted Coding, Automated CDI (Clinical Documentation Improvement), and clinical documentation services, has named Cheryl Ericson as the company’s Clinical Documentation Program Manager. Her effective start date was August 17th. Ericson to Spearhead Development of Comprehensive and Collaborative CDI Solution Designed for Increased Efficiency and Accuracy. Ericson is a noted speaker and educator in the field of CDI and was previously the CDI Education Director for HCPro and Associate Director of Education for the Association for Clinical Documentation Improvement Specialists (ACDIS) where she developed and led the organization’s popular CDI, Advancing CDI and ICD-10 for CDI Boot Camps. 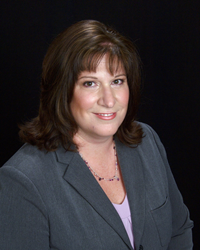 She serves as a CDI subject matter expert for a variety of HCPro and ACDIS publications and has shared her expertise through speaking engagements for ACDIS, AHIMA, the American Hospital Association, the National Medicare RAC Summit, the National Medicare/Medicaid Summit, and the University Health System Consortium. She brings over 10 years of CDI and more than 25 years of Revenue Cycle Management (RCM) expertise to her new position. Ericson is also the author of Physician Documentation Improvement Pocket Guide, Third Edition. At ezDI, Ericson will be responsible for all Clinical Documentation initiatives, including an innovative approach to CDI that integrates all competing clinical data for both the inpatient and outpatient setting that can affect reimbursement, quality of care metrics and medical staff collaboration while keeping patient care at the forefront. As the CDI subject matter expert, she will work closely with ezDI’s product design team to define the technology elements that best support the company’s cloud-based suite of healthcare information management (HIM) products. Ericson’s time spent working with ezDI as a consultant prior to joining the company and her appreciation of its comprehensive software design motivated her to work with ezDI full-time: “ezDI’s CDI solution is revolutionary. It provides collaboration and harmony among people, processes, and systems to allow healthcare providers to focus on patient care, instead of semantics. Ericson will spearhead support services for ezDI clients helping them identify and resolve documentation gaps, providing customized training for their staff and assisting with the development of efficient workflow to leverage the full capabilities of the ezDI software. Cheryl Ericson, MS, RN, CCDS, CDIP, AHIMA-approved ICD-10-CM/PCS trainer, can be reached in her Charleston, SC. Her email address: cericson (at) ezDI.us.